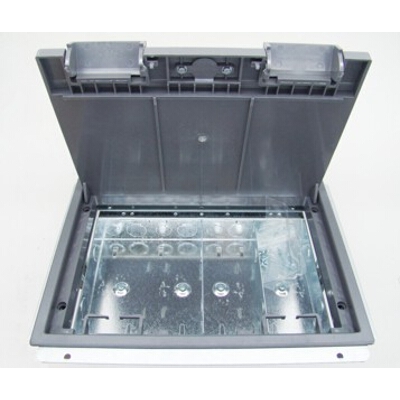 This 4 bay box comes without any plates fitted and is ready for configuration to your specific requirements, just add the plates that you require. Two flip hinges for top cable exit. Cut out size 225 x 305mm. 27mm internal clearance above plate. Plate size 185 x 67 mm. Overall size 260 x 325 x 90mm.